Are you looking for a special gift for your sweetheart this Valentine’s Day or just want to send some love to someone special? Look no further than this Valentine’s Day Baked Goods Gift Box! 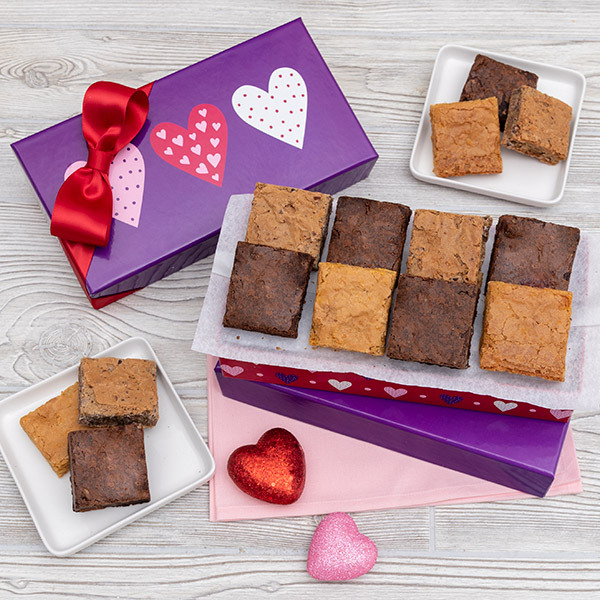 We’ve taken the most delicious brownies and blondies that we could find and packed them in one gorgeous box. This is the perfect way to wish anyone a Happy Valentine’s Day!